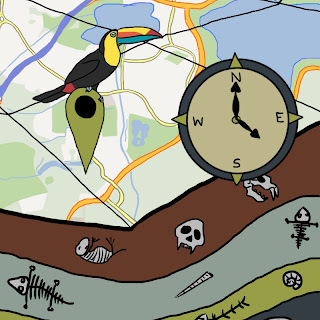 The MapTime blog is maintained by members of the University of Southampton and SUNY Plattsburgh. Any comments and opinions voiced on the blog are those of the individual and do not represent the position of either institution. The goal of MapTime is to provide a resource for the simple and intuitive visualisation of timelines. It is not our goal to be an authority on the timing of particular events in Deep Time. Wherever possible, we will try to provide sources for any time points put up on the website but we welcome input from the community regarding these time points. Future developments will include opportunities for users to create their own timelines with dates they prefer. In the meantime, the scale table should enable users to recalculate any specific points that they want to move for teaching purposes. Please note, this site is in no way affiliated with Google. Please respect Google's policy with using images of Maps. Please read the policy on using screenshots. For further details, please use Google's Permission Tool to find out more information. MapTime is not responsible for any user-generated content throughout the website. Please report any inappropriate/harmful content in the website to webmaster@maptime.co.uk.